You can play the games without the network and advertisement. 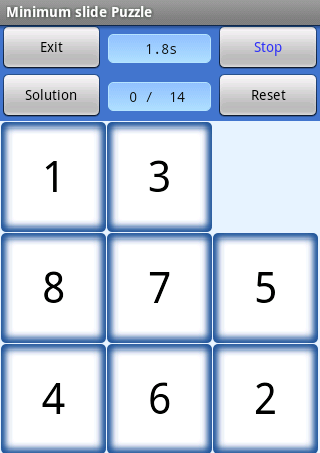 You can play three simple games that use some cells and numbers. 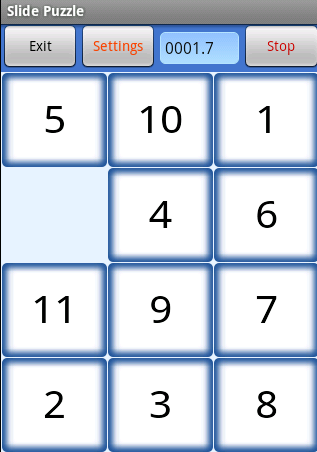 The number of horizontal and vertical cells in "Minimum slide puzzle" is 3x3. 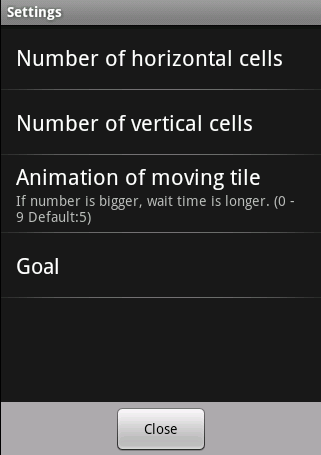 But in the other 3 games you can change the number of horizontal and vertical cells from 3 to 10. 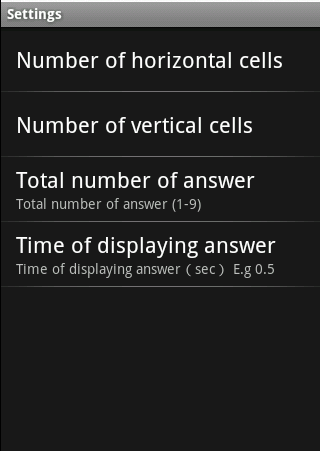 It is possible to change the different numbers of horizontal and vertical cells. 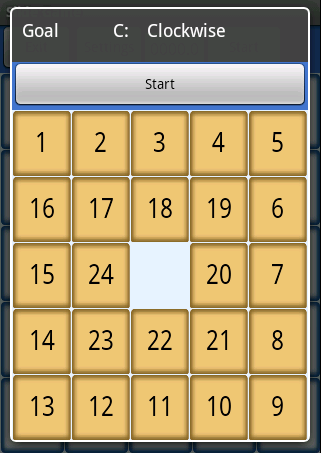 This game is that you find the solution of the minimum number of sliding tiles in 3x3 slide puzzle. 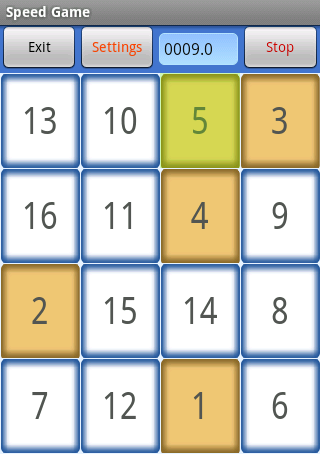 You can specify the minimum number of sliding tiles at the begining the game. If you can not find the solution on the way of the goal, you can reset the position of tiles by touching the reset button. When you can not find the answer, you can get the answer by touching the solution button. 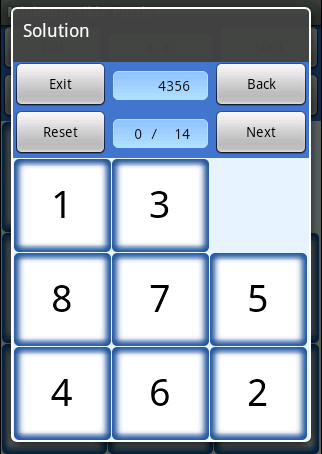 After starting the game, some numbers are shown in random position. You memory the numbers and positions. After a short time, the numbers are hidden. You touch the cell that you memory and input the number. If you answer all nubmers, the game is over. The following, the view after touching [Start] button. 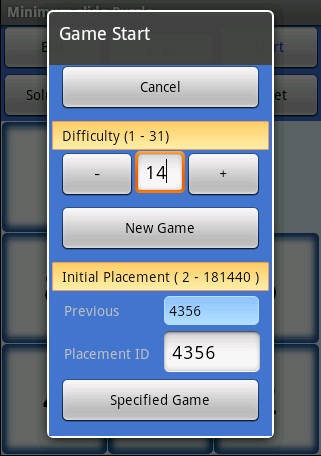 In the default settings, the numbers are shown for one second. 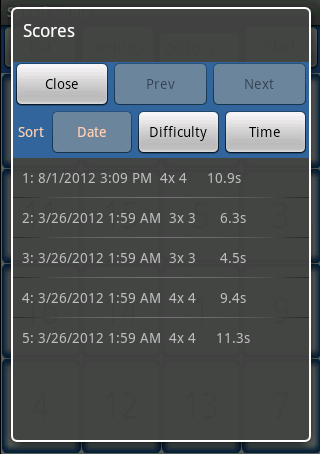 You can change the show time to 0.5 sec, 2 sec and so on. 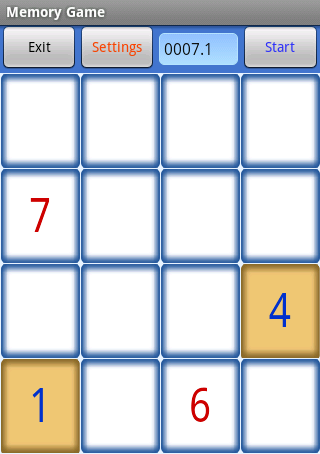 1The numbers are shown in the random position. You touch the number by order from 1 to the end number. After touching all numbers the game is over. 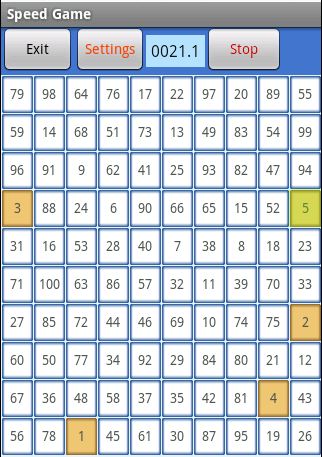 he numbers are shown in the random position（ref the following picture）. You slide a number and order the numbers. You can choose a goal from the 3 goal patterns. 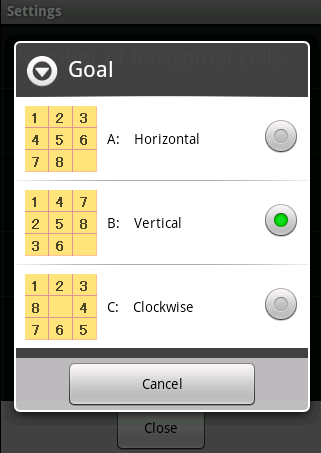 For example, a goal view before starting the slide game at the goal pattern 'clockwise'. Each game has the scores. 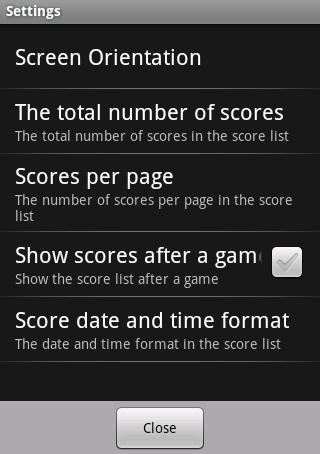 The limit number of scores can be changed in the top settings.